Great cards! Love the vintage look! These are just gorgeous, so classic/vintage looking. LOVE the look of those little children. Love all 3 card! Great colors and cuts and punches! Lovely, I like the papers you have used to cut your image, great floral. darling images and darling cards! Ooooh....these are terrific. I love the holly bg paper and the Norman Rockwell images. Great job! So pretty! Love the kraft paper bg! The border punch and pennants are fun touches! Really nice cards! Cute! Love the old vintage images! 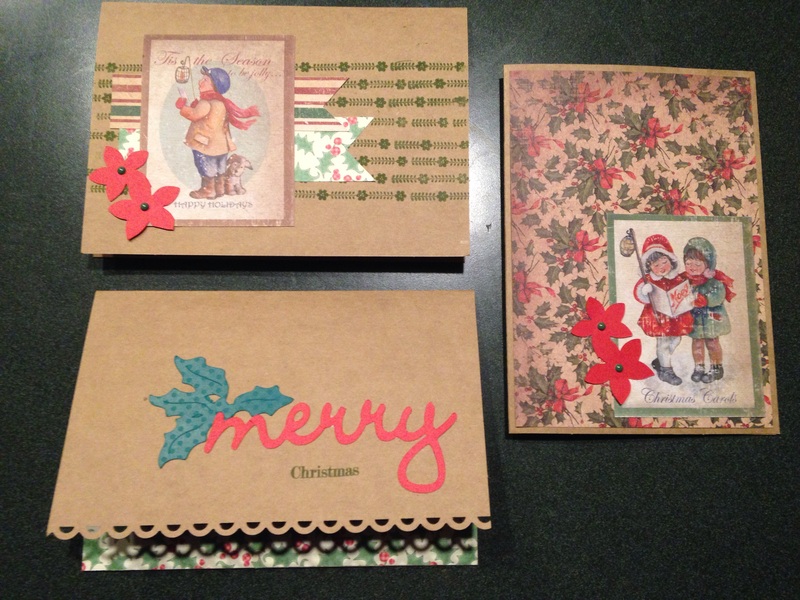 love the use of the kraft paper - makes for cards with a wonderful old world charm.